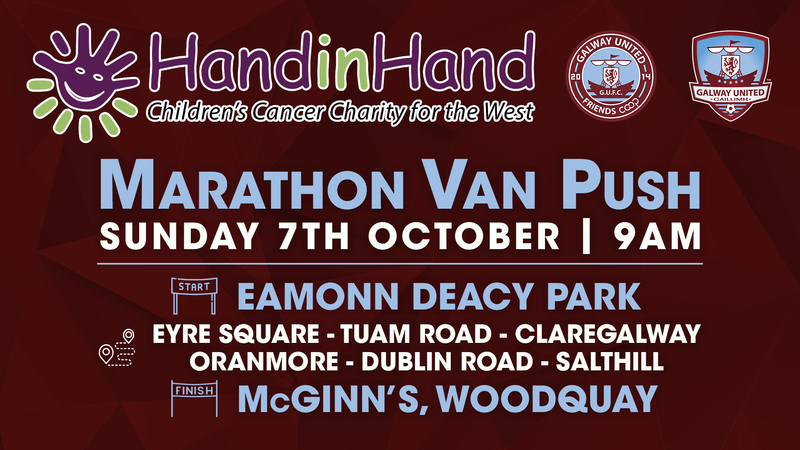 In conjunction with Hand in Hand, the Galway-based childrens cancer charity, Galway United supporters and friends will be pushing the club kit van for 26 miles 385 yards on Sunday, October 7th. 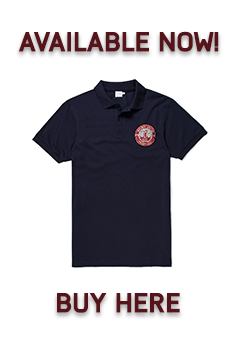 In addition to raising funds for the clubs, 50 % of money raised will be donated to Hand in Hand. Hand in hand provide pratical support for families in Ireland whose lives have been affected by childhood cancer. They provide professional support to these familes before, during and after their child’s cancer treatment. The push will start at Eamonn Deacy Park, into Eyre Square, then on to Claregalway and Oranmore, where it will pass by the Hand in Hand Headquarters. After that it will return to Galway city via the Dublin road and head out to Salthill. The LOI push will conclude at McGinns Hophouse in Woodquay. Bucket collections will take place on the route so please come out and support us. Error: Error validating access token: Session has expired on Monday, 01-Apr-19 18:12:05 PDT. The current time is Thursday, 25-Apr-19 11:04:21 PDT.